The following pages tell you more about the Distance Learning courses run by the Organic College. In addition to around 60 Distance Learning students, the college also has about 50 day students who attend full-time and part-time at the college in Dromcollogher, Co. Limerick. The college has been running day courses for 20 years and over 10 years of Distance Learning courses. 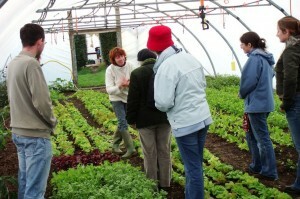 We have about 4 acres of gardens, polytunnels, an orchard a tree nursery and extensive herb, fruit and vegetable plots. We found that we were getting a lot of enquiries from people who had work or family ties and were unable to attend the college full-time. Now you can learn about organic growing and sustainability without giving up your existing commitments. Experience shows that distance learning courses build community spirit across large geographical areas as people share their experiences with fellow students using the discussion groups and by meeting each other on the practical parts of the courses. This ‘community building’ and ‘knowledge sharing’ complements our work on sustainability and helps to bring people together who may otherwise feel isolated by their location. We’re very excited about the potential for distance learning in the organic and sustainability sector and look forward to giving many more people the chance to gain the qualifications they want. The courses focus on developing your skills to grow organic fruit, vegetables and herbs. 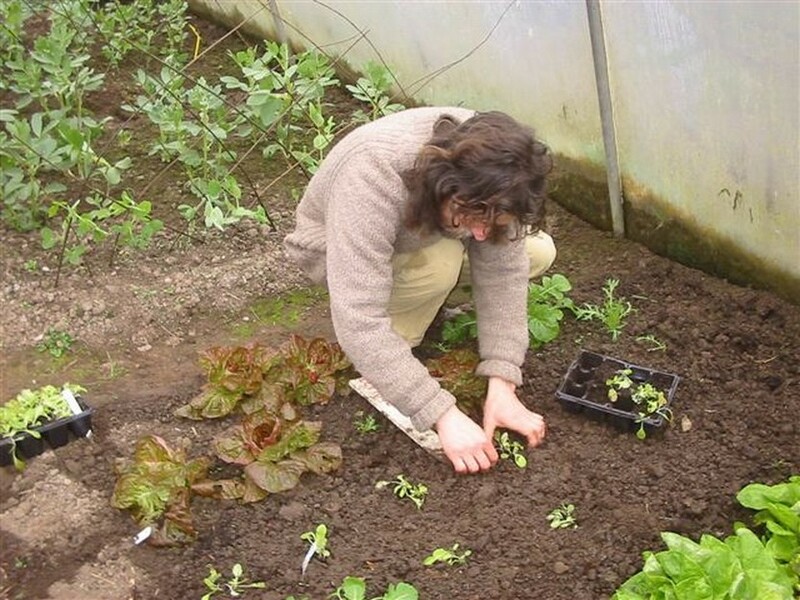 You will grow your own crop and you will develop your knowledge of how to prepare a garden, look after the soil, choose and grow a range of crops and also how to protect them from pests and diseases using organic methods. You’ll also learn about using polytunnels, greenhouses, compost and a range of tools useful to organic growers at different scales. Our courses also have a focus on sustainability. This means that not only will you develop growing skills, but you’ll gain knowledge of how to work with nature rather than against it. You’ll also find out ways to reduce costs, sell produce and develop a resilient business in these tough economic times. The market for good quality local and fresh organic food is growing fast and taking this course will position you well to benefit from your own crops by reducing your weekly food bill or by selling commercially. One big advantage of our courses over other short weekend courses is that you will be learning for a whole year; this will give you the chance to experience an entire growing season and have plenty of time to take in lots of information, ask questions and try things out for yourself. Planting Lettuces – you’ll get your hands dirty! At the Organic College we firmly believe that the best way to learn is by doing. All the courses have a practical element and we encourage you to go out and practice what you’re learning. For example, in Soil Science you will do soil tests on soil from your garden, or in Food Crops you will complete a project where you grow a real crop. We’ll give guidance and get you to report back how you’re getting on. (If you’ve got a digital camera or phone-camera you can upload photos of how you’re getting on.) This practical side of the course is important and you should be prepared to get active. Most people choose to grow something and do their projects in their garden, but even if you only have a window-sill that will be fine. During the year you will need to come to attend the ‘practical experience’ part of the course. We run sessions in the autumn, winter, spring and summer. These are at the college in Dromcollogher or at a farm or garden near to you. You don’t need to come to everything, but attendance at some sessions is important for certification. At these sessions you will get to see the college gardens and complete the practical elements that are required to pass the modules (e.g. perform soil tests or practise using tools). The Practical Days are also a good time to meet people and share experiences! In addition there will be other (optional) opportunities to get out and about. We’ll let you know about interesting speakers or events that are happening at the college. We will also arrange visits to inspiring gardens, farms, and good examples of sustainability.